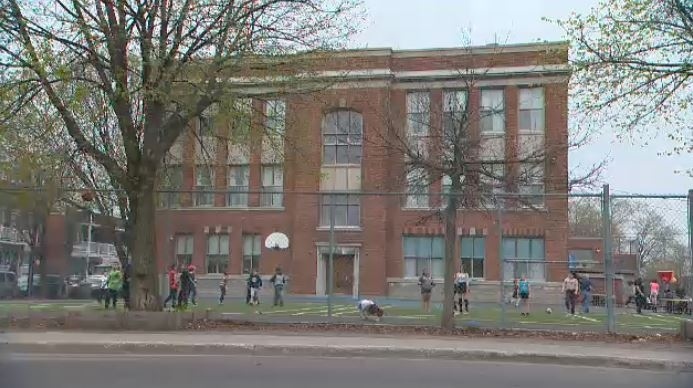 Enrolment is increasing at Riverview Elementary School in Verdun nearly two years after it was on the brink of closing down. The school held an open house Thursday night, and students have a lot of reasons to be excited now that enrolment is back on track. In 2016, the Lester B. Pearson School Board voted to close Riverview as the student body dwindled to under 200. After parents, teachers, students and the borough of Verdun stepped in, though, the decision was reversed. “They just all banded together and said, ‘Listen, give us another try. Let's see what we can do to help boost up the population in this school and boost up the enrolment,’” said school principal Debbie Dixon. Since being saved, Riverview has been growing and projects over 240 kids will be at the school next year. The uptick is thanks, mostly, to word of mouth around the community after word spread the school might shut down. “We moved here about a year and a half ago. We met some parents in the alley. We were going to send our kids to French school and we heard some really great things about Riverview. We had never heard about it before. We decided to check it out and we really loved what we saw. There are some great caring teachers,” said Mary Elizabeth Hickey, co-chair of the school’s parent committee. With the growing number of students at Riverview Elementary, some more resources are going to be needed. Dixon said she's looking into turning multipurpose rooms into classrooms and adding more teachers for the kids. Happily, the Riverview story caught the eye of the Garnet Key Society at Concordia, and student volunteers there raised money to help the school get back on its feet. Local city councillor Sterling Downey, who graduated from Riverview, said he plans to send his son there. “Everyone always says that it always takes a village to raise a child. And the reality is, this is that. This village raised me. I was there to defend it when it needed it. And this village will be there to raise my son,” he said.